Yeehaw! 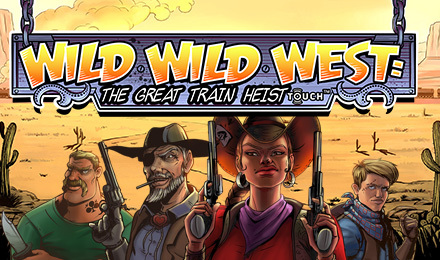 Help save the day in Wild Wild West: The Great Train Heist today! This 5 reel and 10 payline slot game is packed with fun, bonuses & big wins! Get ready for a Wild West adventure when you play Wild Wild West: The Great Train Heist Slots at Moon Games! Crack the whip and win big as you go! You’ll enjoy FREE spins, 4 different Wild Bonus Features, a Pick and Click Bonus with up to 50x multiplier and more! So, what do you say? Grab your cowboy hat and play now!